I thought since I am female, fixing a little girl’s hair would just come naturally to me. The tiny little rubber bands … the wiggly baby … the slippery hair. It’s an awful lot to deal with. Yes, I remember those days! 🙂 Luckily, the time will eventually come when she wants you to do her hair. In the mean time enjoy those little pigtails, she pulls them off adorably! 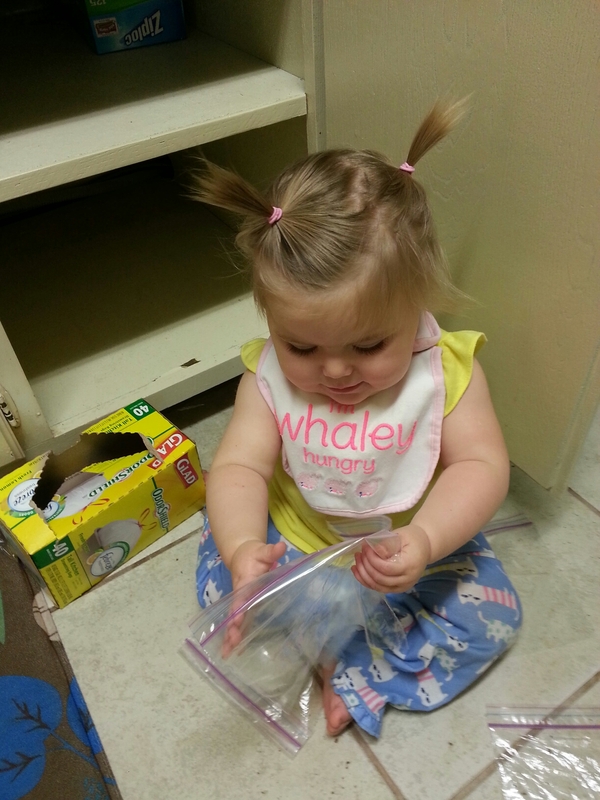 WHAT – these are the cutest pigtails ever! Totally, totally cute. Also, totally jealous. At 2, Julia is still a long way from such luscious locks.